It's almost officially summer and it feels like the season it just starting. 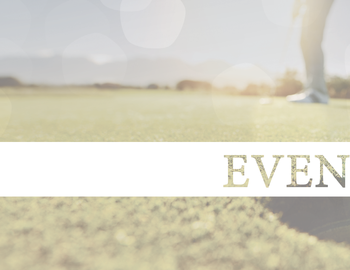 We have some exciting events this week and in the coming weeks: Want to play 63 holes in one day? You can do it on Wednesday, June 21st. Give us a call and we'll set it up. We'll also get you out for a few less holes if you're no up to the challenge. Fourth of July Weekend will be busy so get your tee times early. Club Championship at the end of July. Did you see our tweets about the Cake Boss filming here? Check out their Father's Day episode.